Escura assists as Support Agent for the Internationalization (ASI) to the conference on the "European Union and SME: What should be kept in mind for 2019?”, which took place in the Representation of the European Commission in Barcelona. Ferran Tarradelles , Director of the Representation of the European Commission in Barcelona, ​​has exposed the major European trends for 2019, analyzing the current situation and the future expectations of the Union, emphasizing the uncertainties of certain issues such as the Brexit or the fall in the price of oil, among other key aspects to which it has been sentenced as "Black Swan events". The conference was organized in collaboration with ACCIÓ, an agency of the Generalitat de Catalunya specialized in fostering innovation and business internationalization, with more than 20 years of experience in the development of programs for Catalan companies and 39 Foreign Trade and Investment Offices around of the world. 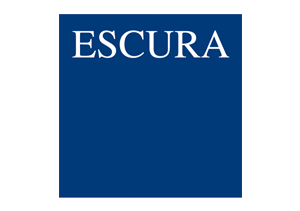 Escura was recognized by ACCIÓ as an Internationalization Support Agent, having been known for accompanying companies in their internationalization process, making available to these companies a variety of services that can be grouped into three levels of collaboration: first, through operations and punctual advice; secondly, advice on the implementation abroad and; thirdly, the management and monitoring of the company implemented abroad from the Barcelona offices. Bufete Escura is a firm composed of lawyers, economists and social graduates from Barcelona with more than 50 professionals. It is a firm recognized by the main legal guides: Chambers and Partners, Best Lawyers and IFLR1000.